Why would I need self storage in Westford, MA? There are a variety of reasons why you might need self-storage in Westford, MA. How much is a storage unit in Westford, MA? The cheapest storage unit in Westford, MA is $39.00 per month. What size storage units do you have available in Westford, MA? In Westford, MA we have sizes that range from 5'x5' to 10'x20' to suit your storage needs. How much is it for a 5'x5' storage unit in Westford, MA? The cheapest 5'x5' storage unit in Westford, MA is $39.00 per month. Westford is a midsize town in northeastern Massachusetts, just 6 miles from Lowell and 24 miles from Boston. It combines a high-tech economy with a small-town feel, which many locals appreciate as a retreat from the hustle and bustle of bigger cities in the area. 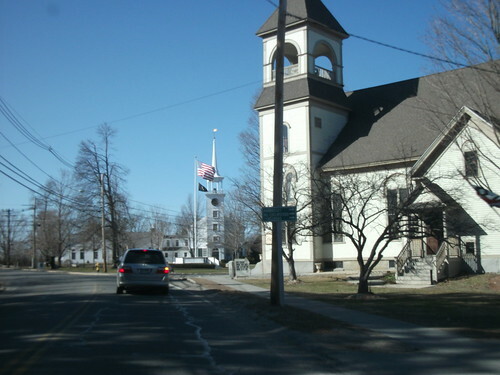 The community of Westford, like many towns on the East Coast, dates back many years. Originally, the Westford settlement was part of the nearby town of Chelmsford, but it became an independent town in 1789. Through the 18th and 19th centuries, Westford's economy was based on worsted yarn, apples and granite. It also served as the home of many important patriots of the Revolutionary War, as well as the site of the school where Paul Revere's son received his education. A bell and weathervane made by Paul Revere can still be viewed in Westford today. After the Civil War, local roads and highways improved, making Westford a popular suburb of Lowell. Suburban sprawl contributed to the town's growth, as did the arrival of several large tech companies in the late 20th century. The Westford of today has evolved from a quiet agricultural town to an important center of high-tech industry and commercial development. One of the most attractive things about Westford is its location. Here, you'll be surrounded by history, education and entertainment. Head into Boston to visit important sites in U.S. history, explore a number of museums or enjoy a professional sports event. In nearby Cambridge, you can visit the beautiful campus of Harvard University. MIT is also in the area. If you don't feel like traveling quite that far, nearby Lowell also offers plenty of things to do. Education and technology are important cornerstones of the Westford economy. If you're well-qualified, you may be able to get a job at a university or at one of the city's many tech startups. Or you can apply for jobs at one of several retail developments throughout the town. Some locals commute to nearby cities for work, which can open up a range of other job options for you to consider. The Westford Public Schools district manages the schools in the town, serving grades K through 12. Nashoba Valley Technical High School is a public vocational high school in the area that enrolls students from Westford and many neighboring towns. Utilities: National Grid supplies both electricity and natural gas to the town of Westford. The town utilities department oversees water and sewer services. Garbage and Recycling: Trash and recyclables are collected on a regular basis. You can purchase disposal bins from the town for a fee. Transportation: The Lowell Regional Transit Authority serves Westford and the surrounding region. You can utilize a local bus route to access the larger MBTA commuter rail line. Westford offers housing options that include detached homes with spacious, tree-filled lots, newly constructed houses in family-friendly neighborhoods, and compact apartments in the center of town. Although Westford is slightly more affordable than Boston, its median home price is still fairly high. Our lowest priced units in Westford, MA average $39.00 per month. 36 people have reserved units in Westford, MA in the past 30 days. There is 1 location within Westford, MA's city limits.